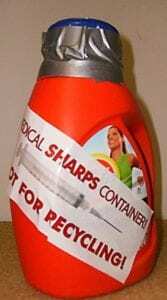 Macon County Solid Waste Director Chris Stahl is working to make trash disposal a little safer by establishing permanent disposal location for needles. During a lengthy and thorough presentation to the board of commissioners at the January meeting, Stahl noted that during his tenure with the county, there have been three incidents where solid waste employees have had accidental sticks with needles that had been thrown away. The unexpected stick by a needle with an unknown origin begins a process of unknowns and dangerous possible outcomes for county employees. “While those incidents are rare, they cause a lot of stress for the employee and they cost the county a great deal of money to treat the individual,” said Stahl. To address the issue, Stahl proposed purchasing secure kiosks to be placed around the county, so allow for the safe disposal of in-home medical waste. Needles such as insulin injections, diabetes medications, and other in-home medical supplies are not currently regulated, and the disposal of the waste isn’t mandated, which can lead to county employees coming in contact with the needles while working. The procedure to dispose of the waste is basic. 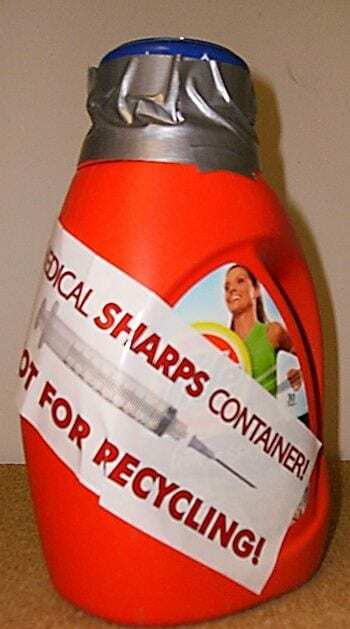 When someone is throwing away a used needle, they are asked to place the needle in a solid container, a laundry detergent bottle or other plastic container, and write “sharp” on the container, and then drop the container in with the regular trash. By the time the trash makes it to the landfill, its nearly impossible for employees to find the needle, and presents a dangerous problem. 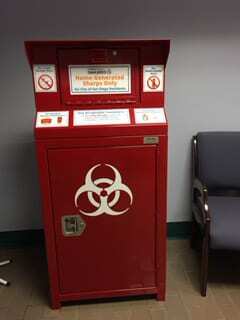 Stahl hopes the kiosks addresses the issue and makes the disposal of needles easier and safer for the community. Last year, North Carolina lawmakers passed legislation making it legal for needle exchange programs to operate within in the state. In Macon County, Full Circle Recovery has been operating the program since September, and with the program comes an increase in needles to properly dispose of. Stephanie Almeida with Full Circle recently spoke to the Macon County Board of Health to partner on the program and ensure that not only is the program accessible and efficient, but that the disposal process meets the preferred guidelines from the county’s solid waste department, which is something Stahl thinks will be addressed with the kiosks. Stahl assured commissioners that the kiosks would be secure because while the intent of the kiosks is to allow people wanting to safely dispose of used needles to do so safely, the sad reality is that the kiosks will also become targets for those desperate for people looking to retrieve the used needles as well. That is when location becomes key, which is why Stahl noted placing the kiosks at central locations such as the jail and EMS base would be ideal. The kiosks will be purchased out of Stahl’s existing budget.